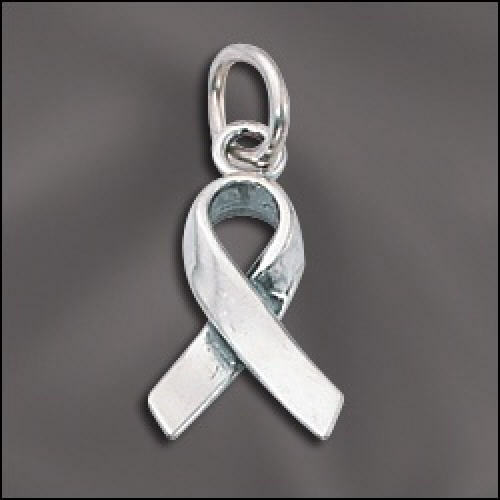 Three D Sterling Silver Cancer Awareness Charm – Use on cancer awareness jewelry or other items. Educating the public about cancer, through cancer awareness and education campaigns, helps shed light on common questions and misconceptions about the disease and it’s causes. We know more today than every before, but cancer myths are still common. Where we can’t answer questions conclusively, raising awareness and education encourages continued research into these important areas. False!!! In the past 25 years the five year survival rate for breast, prostate, and thyroid cancers have increased to over 90 percent! Some cancers are much more aggressive than others and the survival rates vary, but the overall survivor rate for all cancers combined is currently about 66 percent, according to the National Cancer Institute. Again, it depends on who you ask. According to the National Cancer Institute, researchers have conducted studies on the safety of artificial sweeteners and found no evidence that they cause cancer. However, a study conducted by the Ramazzini Instititue has linked the use of artificial sweeteners to cancer, especially Leukemia. NO! The only case where cancer can be “caught” from another person is during an organ transplant, and the occurrences are extremely rare, about 2 in 10,000 cases. There are viruses and infections that can increase a persons risk for cancer, specifically HPV, the human papillomavirus, and bacteria like Helicobaracter pylori. These infections can be passed from person to person, increasing the risk of developing cancers later on, but the cancer itself is not contagious. Not according to studies so far, according to the NCI. Cell phones emit a type of low frequency energy that has not been shown to cause genetic damage. Claims stating that antiperspirants cause cancer have made the rounds on social media and email. However, The American Cancer Society tells us studies have not shown antiperspirants or deodorants to cause cancer. Getting your hair dyed is not going to give you cancer. However, The American Cancer Society says that there have been some studies that suggest there may be an increased risk of bladder cancer in people who are exposed to extremely high levels of hair dye, such as hair dressers. These studies are inconclusive, however, so the jury is still out. By offering education and encouraging healthy lifestyle changes, we can make a difference in the fight against cancer. Don’t let ignorance steal the people you love. Get involved in planning or participating in a Cancer Education Campaign today!